MMP-At what age did you start playing music? MMP-How did you start out as a musician ? MMP-What bands are you influenced by? Rikki LoneWolf-The whole german scene : Running wild, Paragon, Stormwitch, old-Helloween etc….of course the Nwobhm and also some epic stuff like Manilla Road. MMP-What year did the band start out? 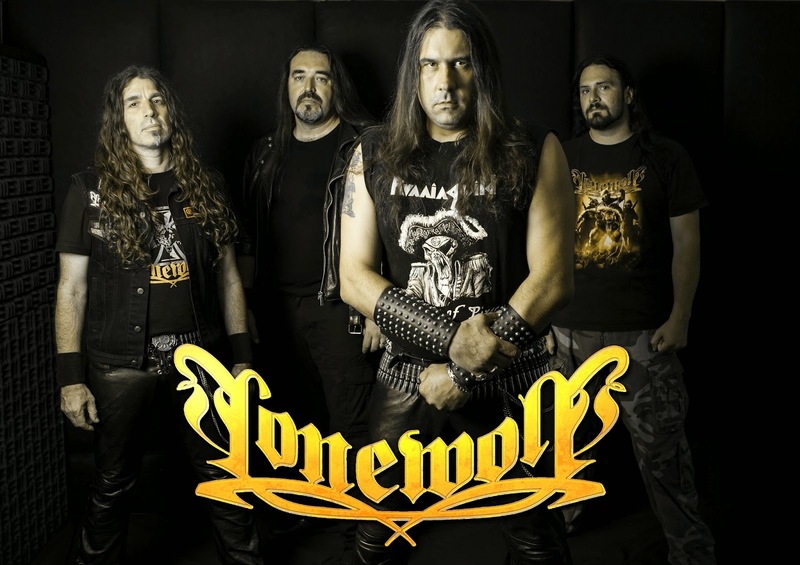 Rikki LoneWolf-We started back in 1991 as « Walpurgis night » before changing the name into « Lonewolf » in 1992. We split up in 1996 and came back in 2000. MMP-How many albums do you have out & where can fans buy them? MMP-Who all is in the band & plays what? Rikki LoneWolf-Two of us (Alex and I) are located in Grenoble (South-east of France) and the two other (Bubu and Rikki) are located around Strasbourg (North-east of France). MMP-What bands would you like to tour with? Rikki LoneWolf-Running Wild, Doro or U.D.O. for example. Or playing again with Grave Digger, Manilla Road or Powerwolf for example. MMP-Is there anything you’d like to say to the fans out there? Rikki LoneWolf-I know that we have support from Russia, so I want to hail all those metalheads around ! It’s hard to come to Russia, but one day who knows ? I’d love to !